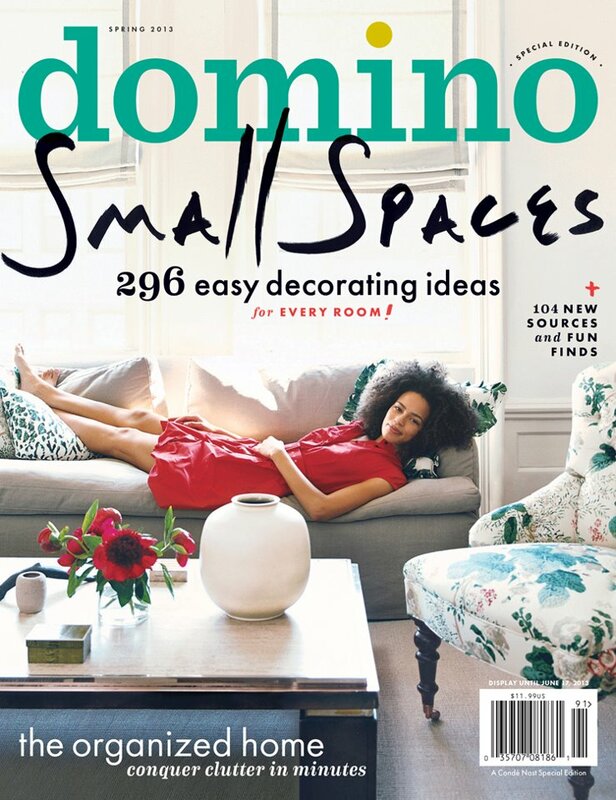 I was so excited when I found the latest issue of Domino Magazine that featured easy decorating ideas for small spaces (city girls listen up - this issue is a must-have). I absolutely love all the tips and tricks to make your small space look and feel bigger and over a 100 different sources for everything your apartment might need. Living in a small space definitely has it's design challenges but these inspiring spaces have my wheels turning to make a few changes in my apartment. I'm loving the bright pops of color in this living room that give this small space a lot of character. The curtains hung close to the ceiling give the illusion of taller ceilings to make the space feel bigger than it actually is. 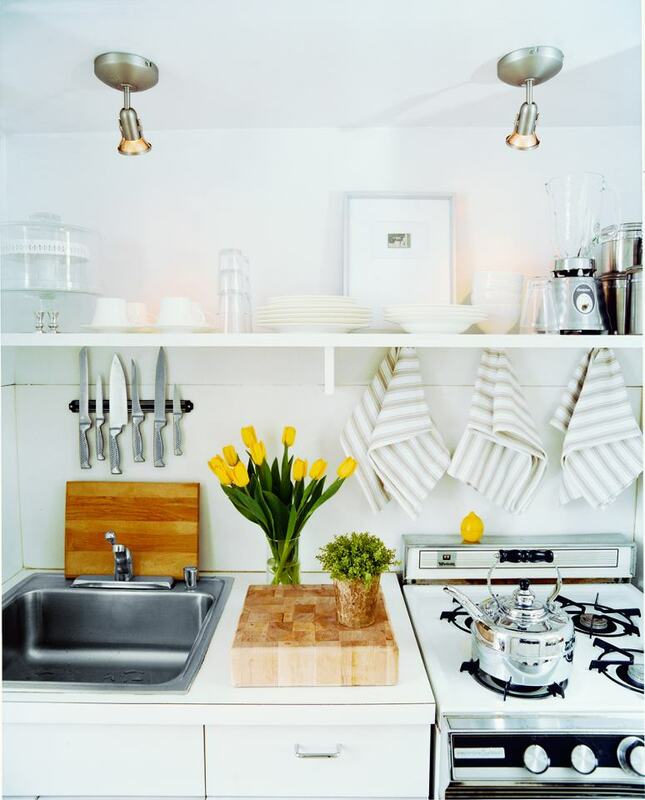 This small kitchen is looks much larger with overhead lighting and a fresh white color palette. The exposed shelving is also a fun way to display some of your favorite dishes instead of keeping them behind closed doors. I love Domino when they have normal features but ideas for small spaces is right up my alley. I'll be picking it up this afternoon! Ooh, I love Domino Magazine and didn't know there's a new issue out - I'll have to pick it up! I hope they'll eventually go back to regular monthly issues - I miss them!